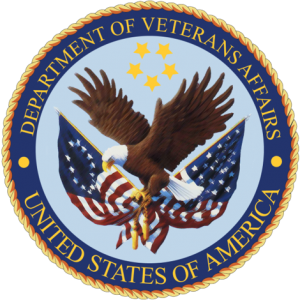 When the Veterans Health Administration (VHA) mandated a review of patient experience and continuity of care, Synensys developed a multi-dimensional review process to assess the effectiveness of the VHA patient experience portfolio to determine program effectiveness, gaps, and improvement opportunities. Patient experience across the VHA system varied by location. Leadership mandated a review of patient experience across a representative sample of inpatient and outpatient facilities including patient flow, patient feedback, complaints management, scheduling, admissions, discharges, and patient-provider communication. Why Did the Veterans Health Administration Partner With Synensys? Synensys had extensive expertise in patient experience data analysis, industry best practices, structured interviewing, and patient process flow/redesign. Synensys provided a balanced quantitative and qualitative review necessary to maximize patient and family engagement. Synensys analyzed all existing patient feedback including patient experience surveys, complaints, and comments. Additionally, our team conducted site reviews to collect process data, service behaviors, teamwork, and communication practices. The assessment data was collected, analyzed, and reported using analytical dashboard tools to enhance leadership awareness, properly allocate resources, and improve decision-making related to continuous improvement. Patient complaints were managed more efficiently, patient experience scores increased in facilities that implemented recommended best practices, patient flow systems were redesigned, and ineffective patient programs were modified or cancelled due to better monitoring and evaluation of desired outcomes.